Attorney General Bill Barr will appear before the Senate Judiciary Committee on May 1 to testify about special counsel Robert Mueller's investigation into Russian interference in the 2016 election, the panel officially confirmed Wednesday. 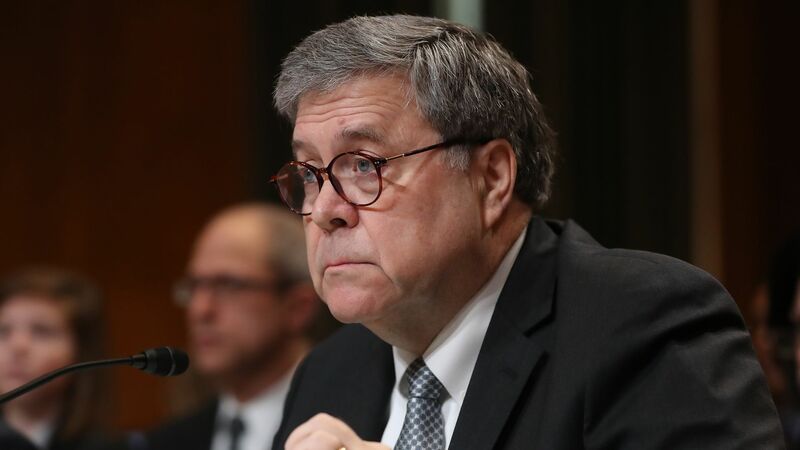 Barr is expected to appear before the House Judiciary Committee on May 2. Why it matters: Democrats have accused Barr, the nation's top law enforcement official, of playing defense for President Trump by spinning Mueller's conclusions in a favorable light 3 weeks before the public was able to view a redacted version of the special counsel's report. Barr also made the controversial decision of clearing Trump of obstruction of justice, despite Mueller explicitly deciding not to. Democrats have argued that it was not Barr's decision to make, and that Mueller — who acknowledged in his report that he could not indict a sitting president — was outlining a roadmap for Congress to impeach Trump by carefully documenting 10 episodes of potential obstruction. Watch to watch: The House Judiciary Committee has formally requested that Mueller himself testify before May 23, after Democrats voiced concern that Barr has not an impartial narrator for the investigation. Mueller has not shown any indication of whether he plans to do so. House Judiciary Chairman Jerry Nadler (D-N.Y) said on NBC's "Meet the Press" that Attorney General Bill Barr "deliberately misled the American people" on multiple occasions, including when he used the term "no collusion" during his press conference on the day of the Mueller report reveal. "[Barr] said there was no collusion. Collusion is a term that is not a legal term. Mueller found that there was plenty of evidence the Russians intervened in the election to help Trump. There was plenty of evidence that the Trump campaign knew about that and encouraged and wanted it, and in fact knew about some of the WikiLeaks dumps of stolen information supplied by the Russians in advance. What he couldn't prove beyond a reasonable doubt that there was a criminal conspiracy. Although in the one case, I do not understand why he didn't charge Don Jr. and others in that famous meeting with criminal conspiracy. He said he didn't charge them because you couldn't prove that they "willfully" intended to commit a crime. You don't have to prove that. All you have to prove for conspiracy is that they entered into a meeting of the minds to do something wrong and had one overt act. They entered into a meeting of the minds to attend the meeting to get stolen information on Hillary, they went to the meeting. That's conspiracy right there." The big picture: Nearly every top Democrat has criticized Barr for his characterization of Mueller's findings in his March 24 letter, which he released 3 weeks before the public got to see a redacted version of the report. In his press conference hours before the report was sent to Congress, Barr said that Mueller found "no collusion" — when in fact, Mueller explicitly wrote in the report that he was not assessing the "concept of collusion." "In evaluating whether evidence about collective action of multiple individuals constituted a crime, we applied the framework of conspiracy law, not the concept of "collusion." In so doing, the Office recognized that the word "collud[ e]" was used in communications with the Acting Attorney General confirming certain aspects of the investigation's scope and that the term has frequently been invoked in public reporting about the investigation. But collusion is not a specific offense or theory of liability found in the United States Code, nor is it a term of art in federal criminal law. For those reasons, the Office's focus in analyzing questions of joint criminal liability was on conspiracy as defined in federal law." On the question of impeachment, Nadler said that he believes of obstruction of justice is "an impeachable offense." However, he said that Democrats would continue in their investigation of the facts before determining whether to proceed with impeachment, as it may not be politically viable.